YellowAirplane.com: German Messerschmitt Bf 109 / Me 109 World War 2 Plastic Scale Models, 1/32, 1/24, 1/18 Scale Model Kits. German Messerschmitt Bf 109 / Me 109 World War 2 Plastic Scale Models, 1/32, 1/24, 1/18 Scale Model Aircraft Kits. German Military Messerschmitt Bf-109 / Me-109 section. World War 2 Fighter Aircraft Scale Model Department. These model airplane kits come in Plastic model airplane kits and Large Scale Plastic Model Aircraft kits. During the war, the first letters of each German airplane was an abbreviation of the manufacturer, like FW-190 (Focke Wulf,) He-111 (Heinkel) and Ju-88 (Junkers). In this case it was the BF-109, which stood for Bayerische Flugzeugwerke, the company owned by Willy Messerschmitt. Later in the war, the name of the company changed simply to Messerschmitt, giving the aircraft the name Me-109. Therefore, Bf-109 and Me-109 are the same airplane and the same company, just different names. Herr Messerschmitt originally was the design arm of BFW or Bavarian Flying Works. And all the aircraft produced by BFW were designated with the prefix BF. However, after the Spanish civil war started and the German propaganda works hear about the 109, Messerschmitt was encouraged to start his own company: Messerschmitt. All new designs now were designated with an ME. So if you look at the record. Models 109 a - D were all BF and models E and H were designated ME. These model aircraft come in plastic model kits, die cast model aircraft, mahogany display models and balsa wood model kits. Read more and the latest replies to his question at the bottom of the page. Some real great stuff. Click Here are some misspellings that people type in the search engines when looking for this page: moedl aircraft model airplnae messreschmitt germna world wra 2 model sircraft nodel airplane. Detailed plastic kit features raised panel lines, complete DB 601 engine with removable cowl, moveable canopy and propeller with choice of spinner, accurate cockpit with pilot figure, realistic-look undercarriage, drop tank, 250kg bomb and choice of markings. 88 pieces; 11 " wingspan when assembled. A replica of Bf 109F-4 "Yellow 14" flown by 158-victory ace Hans-Joachim Marseille, when he, as the Luftwaffe's youngest captain, commanded III./JG 27, when it was based in North Africa in September 1942, this 1/48 scale, plastic kit features engraved panel lines, a multi-part canopy that can be posed open or closed, engine cowling that can be removed to reveal a Daimler-Benz DB 601 engine, an optional tropical intake filter, a rotating propeller, spatted landing gear, a choice of two markings, including those of Hans-Joachim's personal aircraft, and more. 8" wingspan; skill level 4. A Revell Classic re-issued with original box art from decades ago, this limited edition, 1/32 scale, plastic kit of the Bf 109 "Friedrich" flown by 115-victory ace Oberstleutnant Werner Mlders over the Eastern Front in 1941 features engraved panel lines, a fully outfitted cockpit with a pilot figure and a movable canopy, a detailed DB 601 engine with a removable engine cover and a rotating propeller, a separate rudder, optional position landing gear, authentic JG 51 markings, and more. 12" wingspan; 70 parts, skill level 3. This hand painted, 1/30 scale, metal figure of Condor Legion pilot Oberleutnant Hans Schmoller-Haldy is finely detailed from his realistic headgear right down to his shiny black boots. Made by John Jenkins Designs, it measures approximately 2" tall and arrives ready to display next to Oblt. Schmoller-Haldy's Bf 109E. The Messerschmitt Bf 109E series featured a new Daimler Benz DB 601 engine, with the E-7 version also able to carry a 300-liter auxiliary tank. This plastic kit features a detailed cockpit, a multi-part canopy that can be posed open or closed, an engine, a moveable propeller, a pilot figure, external instruments and auxiliary tank, a choice of markings, and more. 7" length and 8" wingspan; 72 pieces. "White 13," the famous Bf 109E-3 flown by 221-victory ace Oberleutnant Heinrich "Heinz" Br (who flew more than 1,000 combat missions and fought in all major German theaters of World War II) of 1./JG 51 during the Battle of Britain in September, 1940, this limited edition, 1/48 scale, plastic kit features a detailed cockpit with a clear canopy, realistic landing gear, and authentic markings, including 1 Staffel's Mickey Mouse emblem below the cockpit. 8" wingspan; assembly required. Highly detailed plastic kit features recessed panel lines, accurate Daimler-Benz DB601 engine with removable cowl, multi-part canopy may be posed open or closed, realistic cockpit with all major controls and seated cockpit, landing gear with rubber tires, moveable control surfaces, and more. Includes parts for different variants, choice of markings, and 146 pieces. 16" wingspan, assembly required. In the course of achieving 352-aerial victories, all-time ace of aces Erich "Bubi" Hartmann flew several distinctive aircraft - and now you can build two for the of one! This limited edition, 1/72 scale, plastic Hasegawa set includes a Bf 109G-6 and a 109G-14, both of which have a detailed cockpit with a glazed canopy, realistic landing gear, and more. You also get a choice of four sets of Hartmann's markings: two for 109G-6s from 9./JG 52 in 1943 and 1944 and two for 109G-14s from 4./JG 52 in late 1944 and I./JG 53 in early 1945. 5" wingspan; 93 (total) parts, assembly required. Entering service shortly after the start of World War II, the Dewoitine D.520 fighter came close to being a match for German types such as the Messerschmitt Bf 109.
a colorful D.520 that was flown by the Vichy French Air Force against the Allies in 1943, this 1/72 scale, plastic model features finely textured surfaces, a detailed cockpit with a glazed canopy, a rotating propeller, extended landing gear, and authentic GC II/7 markings, including the unit's "black panther" emblem on the fuselage. Painted by hand, it has a 5" wingspan and includes a display stand. Finely detailed and painted by hand, this 1/30 scale, King & Country metal figure of Gunther Rall - whose 275 victories made him the third highest-scoring ace in history - smiling after another successful mission in his Bf 109 is historically accurate right down to his peaked visor cap, flight jacket, authentic insignia, and jack boots. Measures approximately 2" tall and arrives ready to display. The Bf109G-6 was one of the most numerous versions of this famous German WWII fighter aircraft. It served in all theatres where the Luftwaffe was active and was used to defend Germany against the American daylight bombing raids. Plastic kit contains 59 pieces and features recessed panel lines and detailed cockpit. Weapons included are under-wing canons and external fuel tanks. Also includes optional tropical air filter, choice of markings, and a 3-part canopy that may be posed open or closed. Nearly 5" wingspan when complete. This wonderful collection includes six pre-painted, 1/48 scale, plastic kits of great World War II warbirds! You get a U.S. P-40 Warhawk, P-51D Mustang and F4U Corsair; a Royal Air Force Spitfire; a German Bf 109; and a French D.520, each with textured surfaces, a detailed cockpit with a clear canopy, a realistic engine front, authentic markings, and a display stand. Minor assembly required. This is a super good deal, six 1/48 scale model kits that were very inexpensive. Read more about the Y-I-BET on the Youth of America Program Here. Y-I-BET Stands for: Youth Innovative Business Environment Training and it shows all of us a way that we can teach our kids by using model airplanes. an Me 109E-3 "Emil" flown by the Swiss Air Force - Switzerland purchased eighty 109E-3s, which were delivered from April, 1939, until just before the German invasion of France in 1940 - this 1/72 scale plastic kit features textured surfaces, a detailed cockpit with glazed windows, realistic armament including two MG 17s above the engine and one MG FF cannon in each wing, detailed landing gear, authentic Swiss Air Force markings, and more. 5" wingspan; assembly required. the tall-tailed Bf 109G-14 flown by 352-victory ace Erich "Bubi" Hartmann when he briefly commanded 1./JG 53 in Hungary in February, 1945, this 1/72 scale, plastic kit features a detailed cockpit with a glazed Erla canopy (which provided better vision), machine gun "blisters," a centerline fuel tank, realistic landing gear, and a choice of markings (Hartmann's aircraft with "black tulip" nose art or a 3./JG 11 aircraft flown in the defense of Germany). 5" wingspan; 55 parts, assembly required. The Messerschmitt P.1099B/I was intended to be a further development of the Me 262, retaining its wings but with an enhanced, armored fuselage for attacking Allied bombers. that conceptual jet fighter, this 1/72 scale, plastic kit features textured surfaces; a detailed, two-man cockpit with a periscope sight; movable front and tail machine guns; realistic landing gear; a choice of two markings (ZG 1 and I./KG(J) 76); and more. 7" wingspan; 78 parts, skill level 3. In the early 1970s, Revell produced a series of comical caricature kits designed by artist Dave Deal. This newly re-issued edition of one of those kits - Weiner Moldy and his Messa-Schnitzel 109 - features a large blower and flame-throwing headers, a clear cockpit canopy and a figure of Weiner Moldy, a rotating propeller and movable wheels, and more. 7" long with an 8" wingspan; 41 parts, skill level 2. Create your own version of Germany's most famous WWII fighter with this easy-to-build 1/32 scale kit balsa wood kit that features die-cut balsa parts, plastic cowling and canopies, decals, a plastic prop, wheels, tissue and a 24-page kit-building booklet. 16"
This 1/16 scale balsa kit has a 24" wingspan when completed, and includes plastic wheels and nose cowl, bubble canopy, decals and more. For display, rubber-powered or gas-powered flight. Assembly required. Build your own replica of this famed Luftwaffe WWII fighter. 1/19 scale kit of balsa wood and tissue paper has a 20" wingspan when completed. For display or rubber-powered flight; assembly required. a Messerschmitt Bf 109 "Gustav," this 1/22 scale kit includes laser-cut balsa and vacuum-molded plastic parts, covering tissue, a 5" plastic propeller, landing gear, peel-and-stick decals, a full-size plan with building and flying instructions, and more. For display or electric-, gas- or rubber-powered flight. 18" wingspan; assembly required. Made of Philippine mahogany, this 1/32 scale model measures 11" in length and has a wingspan of 12". Hand painted and detailed, model comes ready to display on the included mahogany base. A replica of the Messerschmitt Me 109 flown by Franz von Werra - the only German pilot to successfully escape from Allied custody and return to Germany - of the Luftwaffe's JG 3 when he was downed on September, 5, 1940, during the Battle of Britain, this limited edition, 1/30 scale, polystone and plastic King & Country model features textured surfaces with simulated rivets; a well-equipped cockpit with an open canopy; propeller blades that are realistically bent from the crash landing; and a weathered paint scheme with authentic markings. Painted by hand, it has a 13" wingspan and arrives ready to display in your World War II diorama. During the war in North Africa, Generalfeldmarschall Erwin Rommel wanted to be in as many places as he could and used the Luftwaffe to transport him around the battlefield and his command. Among his most useful "Desert Taxis," as he often referred to his personal aircraft, was the four-seat Bf 108 Taifun - the predecessor to the famous Bf 109. A replica of a Taifun - which was designed and developed by Willy Messerschmitt in the 1930s - used by the "Desert Fox" in North Africa, this amazingly detailed and hand painted, 1/30 scale, polystone King & Country model features a detailed interior and glazed cockpit windows, metal landing gear, an authentic desert camouflage scheme, and more. You even get metal figures of Rommel and his personal pilot! 13" wingspan; arrives ready to display. This is a very limited release, so order today! This incredible, limited edition, 1/18 scale model of a Messerschmitt Bf 109G features the markings of the all time ace of aces (with 352 confirmed victories) Erich Hartmann! Magnificent in its details, this plastic model features engraved panel lines and simulated rivets; cowling that can be removed to reveal a detailed Daimler-Benz engine; a fully-equipped cockpit with an opening canopy and an articulated pilot figure; movable flight control surfaces, retractable landing gear, and a rotating propeller; machine guns; a removable fuel tank; and authentic JG 52 markings. Best of all, this plastic model requires no gluing and needs only a few minutes of assembly! It's been a while since we've had a great new 1/18 Bf 109, but this was worth the wait. 23" wingspan. Made by John Jenkins Designs, this premium quality, hand-painted, 1/30 scale, plastic and resin model of the Messerschmitt Bf-109E flown by Condor Legion pilot Oberleutnant Hans Schmoller-Haldy in the Spanish Civil War is a beauty! It features finely engraved panel lines, a detailed cockpit with an opening canopy, a 7.92mm MG 17 machine gun in each wing, intricate landing gear, and authentic markings, including Condor Legion wing roundels, 3.J/88's Mickey Mouse insignia, and Schmoller-Haldy's personal beer stein emblem. 13" wingspan; arrives ready to display. A replica of the Bf 109 flown by 115-victory ace Werner Moelders - who was the first pilot in history to achieve 100 aerial victories - when he took command of JG 51 (becoming, at age 27, the Luftwaffe's youngest Kommodore) during the Battle of Britain in July, 1940, this hand painted, 1/30 scale, polystone King & Country model will be a standout in your collection! You get textured surfaces with simulated rivets, a detailed cockpit with a glazed canopy, a 7.92 mm MG 17 machine gun in each wing, authentic markings, and more. 13" wingspan; arrives ready to display. A replica of "Yellow 6," a Bf 109G-6 "Die Beule" (The Bulge) flown by 46-victory ace Oberfelwebel Alfred Surau of III./JG 3 "Udet" against B-17 raids on Stuttgart in September, 1943, this 1/32 scale, die cast Forces of Valor model features engraved panel lines; a well-equipped cockpit with an optional-position canopy and a pilot figure; an intricately detailed engine with a removable cowl; movable flight control surfaces and retractable landing gear; realistic wing-mounted guns and a centerline fuel tank; authentic markings, including 9 Staffel's eye emblem on each machine gun bulge; and more. 12" wingpan; includes a display stand. "Black 6," the Bf 109G-2 Trop flown over Libya in support of Rommel's Afrika Korp by 5-victory ace Heinz Ludemann in 1942, this limited edition, 1/32 scale, die cast Corgi model features engraved panel lines, a fully outfitted cockpit with an opening canopy and a pilot figure, engine panels that can be removed to reveal an intricately detailed Daimler-Benz DB 601 V12 engine and two machine guns, the "Trop" variant's distinctive sand filter, movable flight control surfaces and a rotating propeller, a centerline fuel tank, retractable landing gear with real rubber tires, and an authentic desert camouflage scheme. 12" wingspan; includes a display stand. This 1/87 scale die cast model features textured surfaces, a clear cockpit canopy, wing-mounted machine guns, a rotating propeller, authentic 6./JG 26 markings from 1939, and more. 4" wingspan; includes a display stand. This 1/87 scale, die cast Model Power model features textured surfaces, a clear cockpit canopy, a rotating propeller, authentic markings, and more. 4" wingspan; includes a display stand. This 1/72 scale, die cast model replicates the MS.406, a French fighter that, though built in large numbers and flown with valor early in the war, was outclassed by the Luftwaffe's Me 109. You get engraved panel lines; a detailed cockpit with a clear canopy; a rotating propeller; optional-position landing gear; the authentic markings of 6 Escadrille, GC III/7, Armee de l'Air; and more. 5" wingspan; includes a display stand. Featuring the desert camouflage scheme and markings of III./JG 77 "Ace of Hearts," which arrived in North Africa in October, 1942, this 1/72 scale set features engraved panel lines; an opening canopy; movable flight control surfaces; an external fuel tank; optional-position landing gear with real rubber tires; a realistic compass platform base, which allowed the tail of the aircraft to be raised for test-firing and calibrating the fighter's machine guns; and more. 5" wingspan; includes a display stand. "Yellow 6" - a Bf 109G-6 flown by 9./JG 54 in 1940 - this 1/72 scale die cast model features textured surfaces; a cockpit with a pilot figure and a glazed canopy; a centerline fuel tank; a rotating propeller; extended landing gear; authentic markings, including JG 54's famous "Green Heart" emblem on the fuselage; a display stand; and more. 5" wingspan; arrives ready to display. In this rare set, you get two 1/72 scale, die cast models of fighters flown in the Battle of Britain: the RAF's Spitfire Mk.I and the Luftwaffe's Messerschmitt Bf 109! The Spitfire wears the markings of 8-victory ace Constantine Pegge, while the Bf 109 represents an airplane flown by 56-victory ace Helmut Wick, who was the lead German fighter pilot at the time of his death in November, 1940. Each airplane has a 5" wingspan and both arrive ready to display on the included display base. "Yellow 7," the Bf 109G-6 flown by 131-victory ace Hauptmann Wilhelm Lemke - the Staffelkapitn of 9./JG 3 when the unit was stationed at Bad Wrishofen, Germany, in August, 1943 - this 1/72 scale, die cast Witty Sky Guardians model features textured surfaces, a detailed cockpit with a glazed canopy and a pilot figure, wing-mounted cannons and a metal pitot tube, a centerline fuel tank, a rotating propeller, extended landing gear, and authentic 9th Staffel markings, including stylized eyes on the machine gun blisters. 5" wingspan; includes a display stand. This 1/72 scale die cast model features textured surfaces, a detailed cockpit with a clear canopy and a pilot figure, wing-mounted machine guns, an external fuel tank, a rotating propeller, extended landing gear, authentic markings, a display stand, and more. 5" wingspan. "Red 7," a Messerschmitt Bf 109K-4 flown by JG 27 out of Prague in 1945, this 1/72 scale, die cast model features engraved panel lines, a detailed cockpit with a glazed canopy, a removable centerline fuel tank, a rotating propeller, optional-position landing gear, and a two-tone camouflage scheme with authentic markings, including a green fuselage band and a black-and-white spiral on the spinner. 5" wingspan; includes a display stand. Ready to defend the Fatherland from Allied bombers, this fully articulated, 1/6 scale Luftwaffe fighter pilot is so amazingly realistic, you'll expect him to jump into his Bf 109 when the air raid sirens wail! You get a fully articulated body with a beautifully-sculpted character head; officer's uniform accessories, including a Luftwaffe visor cap and Captain's shoulder boards; authentic badging, such as a Luftwaffe Breast Eagle and Pilot Badge, a Day-Fighter Operational Flying Clasp, an Iron Cross 1st Class Badge, and a Silver Wound Badge; a flying helmet with goggles, a flight jacket and gloves; an M37 pistol with a holster; a lifejacket with an oxygen cylinder; and much more. You even get a realistic map, compass, and a file folder to hold his orders! Stands 12" tall and arrives ready to display. a Messerschmitt Bf 109G-6 flown by the Hungarian Air Force's 101st "Puma" Fighter Group in 1944, this 1/72 scale, plastic model features finely textured surfaces, a detailed cockpit with a glazed canopy, a rotating propeller, a centerline fuel tank, extended landing gear, and authentic 101/I FS markings, including national colors on the tail surfaces and yellow recognition markings on the lower wingtips and rear fuselage band. Painted by hand, it has a 5" wingspan and includes a display stand. the Bf 109G-6 flown by 60-victory ace Hauptmann Horst Carganico, the Gruppenkommandeur of II./JG 5 "Eismeer" (Ice Sea) stationed at Alakurtti, Norway, in 1944, this 1/72 scale, die cast Witty Wings Sky Guardians model features textured surfaces; a detailed cockpit with a clear canopy and a pilot figure; wing-mounted machine guns and a centerline fuel tank; a rotating propeller; extended landing gear; authentic markings, including Carganico's Mickey Mouse on the fuselage; and more. 5" wingspan. a German-built Bf 109G-6 flown by the Romanian Air Force in World War II, this 1/72 scale die cast model features engraved panel lines, a detailed cockpit with a pilot figure, an external fuel tank, optional-position landing gear, a rotating propeller, authentic markings, a display base and more. 5" wingspan. "White 21," the Bf 109G-10 flown by 12-victory ace Hauptmann Franz Wienhusen when he was commander of IV./JG 4 during the defense of the Reich in November, 1944, this 1/72 scale, die cast model features engraved panel lines; a detailed cockpit with a glazed canopy; cannons, a pitot tube, and a centerline fuel tank; a rotating propeller; optional-position landing gear; and authentic markings. 5" wingspan; includes a display stand. The 10th release in the Oxford Diecast series of 1/72 scale, die cast warplanes, this model replicates a Bf 109G-10 flown by 11./JG 7 "Nowotny" in defense of the Reich in 1945. It features textured surfaces, a detailed cockpit with a glazed canopy, authentic markings, and more. 5" wingspan; includes a display stand that identifies the plane and pilot. The 26th release in the Oxford Diecast series of 1/72 scale, die cast warplanes, this model is a replica of the Bf 109F-2 - a mid-production variant of the Bf 109 that combined a powerful Daimler-Benz DB 601E engine with a more aerodynamic body - flown by 108-victory ace Hauptmann Hans Hahn of III./JG 2 on the Western Front in 1941. It features textured surfaces, a detailed cockpit with a glazed canopy, authentic markings, and more. 5" wingspan; arrives ready to display on the included stand that identifies the plane and pilot. The second release in the Oxford Diecast series of 1/72 scale, die cast warplanes, this model replicates the Bf 109E-4 flown by 30-victory ace Hauptmann Wolfgang Lippert when he was appointed Gruppenkommandeur of Stab II./JG 27 in September, 1940. It features textured surfaces, a detailed cockpit with a glazed birdcage canopy, authentic markings, and more. 5" wingspan; includes a display stand that identifies the plane and pilot. the Bf 109E flown by 132-victory ace Oberleutnant Herbert Ihlefeld when he was Gruppenkommandeur of I. (J)/LG 2 in 1940, this limited edition, die cast Corgi model features engraved panel lines, a detailed cockpit with a birdcage canopy and a hand-painted pilot figure, an engine cowl that can be removed to reveal an inverted Daimler-Benz V12 engine, a 20mm cannon port in the rotating propeller's spinner and machine gun barrels in the wings, simulated fabric-stretched control surfaces with counterbalance weights, optional-position landing gear with real rubber tires, authentic markings, and more. Rendered in precise 1/72 scale, it has a 5" wingspan and includes a display stand. the famous Messerschmitt Bf 109 flown by 158-victory ace Hans-Joachim Marseille (the "Star of Africa") of I./JG 27, this amazingly detailed and hand painted, limited edition, 1/30 scale, polystone King & Country model features textured surfaces, a detailed cockpit with a glazed canopy, extended metal landing gear, and a realistically weathered desert scheme with authentic markings, including a blood red tail with kill markings. You even get a standing metal figure of Marseille himself! 13" wingspan; arrives ready to display. Designed to replace the Bf 109 in Luftwaffe service, the Me 309 advanced fighter project was cancelled after only four prototypes were built. This nostalgic, 1940s-style collector clock featuring the Bf 109 Gustav Trop, is framed in a distinctive riveted aluminum case. Also features quartz movement, requiring one AA battery (not included). 15" diameter. This collector clock featuring a menacing Bf 109 is framed in a distinctive riveted aluminum case. Quartz movement; battery not included. Made in U.S.A. 15" diameter. Featuring "Red 1," the famous Messerschmitt Bf 109 flown by 212-victory ace Hermann Graf, this 24-gauge steel sign is hand distressed to create the look and feel of aged metal and paint. 18"x 12"; includes mounting holes. This colorful metal sign features a high quality silk-screened image of the Bf 109 Black 6 - the Luftwaffe fighter captured by Australian troops after only 20 hours of airtime in November of 1942. Measures 11"x 8" and includes mounting holes. Featuring the Bf 109 flown over Libya in support of Rommel's Afrika Korp by 5-victory ace Heinz Ludemann in 1942, this 24-gauge steel sign is hand distressed to create the look and feel of aged metal and paint. 18"x 12"; includes mounting holes. This colorful metal sign features a durable, high quality silk-screened image of Hermann Graf's famous "Red 1". Measures 14"x 8" and includes mounting holes. Featuring an image of the Bf 109 flown by 5-victory ace Heinz Ludemann in 1942 North Africa along with a pin-up girl and III./JG 77 insignia, this 24-gauge steel sign, die cut in the shape of a pilot wing, has a distressed look and rounded corners. 34"x 10"; includes mounting holes. Reproduction of Obstlt. Adolf Galland's Bf 109 nose art. Kommodore of JG 26 from December, 1940. The first of three 109s displaying the Schlageter Geschwader insignia and Galland's personal 'Mickeymaus' emblem. Galland became the Wehrmacht's youngest General at age 30 with 104 victories and claimed to have the only cigar lighter-equipped 109 in the Luftwaffe. Multi-piece panel comes ready to hang. 40"x 18." Hand painted reproduction of the nose art from one of Gnther Rall's three Me 109s, Black 13 with the III group emblem from JG52. Panel is a scaled-down version of the real thing and is made of five-piece aluminum construction. Arrives ready to hang on the two attached D-ring hangers. 40"x 18". Gary Velasco. Hand painted, authentic reproduction of the nose art of Erich Hartmann's BF-109G, Karaya. Panel is a scaled-down version of the real thing and is made of five-piece aluminum construction. Ready to display on the two attached D-ring hangers. 40"x 18". This distinctive, high quality black cap features a beautifully detailed brass emblem with a profile of a Messerschmitt Bf 109, six brass eyelets, a pre-curved peak and a matching adjustable strap with brass buckle. History Research Facts for the Messerschmitt Bf 109 Aircraft. Engine: One Daimler - Benz DB 601N 12 cyclinder V inline, 1200 hp at take-off. Armament: one 15-mm Mauser MG151/15M cannon with 200 rounds and two 7.92 mm Rheinmetall Borsig MG 17 machine guns with 500 rounds per gun. Speed: 373 mph at 19,685 feet. Range: 547 miles with drop tanks. Climb: 5 minutes 12 seconds to 16,400 feet. Ceiling: 36,090 feet. Empty Weight: 5,188 lbs. Loaded Weight 6,700 lbs. Span: 32 feet 6.5 in. Length: 29 ft. 4 in. Height: 8 ft. 6.5 in. Jager. With 352 aerial victories and ten years in a Soviet prison, Erich Hartmann survived uprisings, hunger strikes, and forced labor. His will to do his duty was remarkable - after being released, he was still mentally and physically fit enough to fly F-86 jet fighters in the post-World War II German Air Force. This photo album presents the different stages of his life - a man who wished to become a doctor, but whose fate it was to become and remain a soldier. An owner's manual of the do's and don'ts of Warbird recovery." - Michael "Worf" Dorn. This gripping true story of an American's journey to Russia to recover a rare Messerschmitt Bf 109 fighter that crashed during World War II. "Wilde Sau" Jagdgeshwader 301/302 Established in 1943 with an unusual combination of Luftwaffe bomber and fighter pilots, these units intercepted enemy bombers both at night and during the day. The night missions required significant instrument flying, thus making the bomber pilots preferable; while the daylight raids required the agility of a fighter pilot. This history chronicles the challenges faced were unique. In June 1941, Hungarian armed forces joined the Germans in the invasion of the Soviet Union, and by the time those pilots were flying Bf 109F/Gs in 1942, many of them had built up numerous aerial scores. By 1944, the Hungarians were defending their homeland, and they remained Germany's Eastern European allies even during the Soviet advances of 1944-45. 63-victory ace Oblt. Wilhelm Schilling. III./JG 300 "Wilde Sau" paint scheme of 11-victory ace Oblt. Kurt Gabler. Continued from the top of the page. BFW does indeed stand for Bayerische Flugzeugwerke literally Bavarian Flying Works. Willy Messerschmidt's 109 was always given the internal German Air Ministry designation of Bf 109, in the same way as its contemporary, the twin engine Bf 110 (which the British also incorrectly called the Me 110). Later in the war it became the practice in Germany to use the first letters of the designer's last name as the aircraft prefix code, hence the successor to the Fw 190 D 'Long nose' was the Ta 152 (named after Kurt Tank, its famous designer who went to Argentina after the war and continued his pioneering jet fighter development with the Pulqui and Pulqui II). Similarly, Messerschmidt's later designs, the Me 210, 410, 163 and 262 etc. were all Me prefixes. Inside the Reich, the official Bf prefix always remained unchanged for the 109. Messerschmitt was brilliant not for pure technical achievement (the 'blackbirds' cursed him often enough for all those landing accidents and the pilots cursed him often enough for those unpredictable leading edge slats, cramped cockpit and rotten low speed handling) His genius was to produce by far the most cost effective defensive fighter - the greatest bang for the buck in any World War II front line single seat defensive aircraft that was in continuous production before, during and after the war (in Spain, as the Buchon). Inferior in every way to the Fw 190, it was nevertheless far more simple and much easier to mass produce. Stewart Wilson, in his book 'Spitfire' relates how a captured Spitfire VB (EN830) was delivered to the Daimler Benz flight test department on November 18 1943. It was fitted with a DB605A and VDM propeller from a Bf 109G. Wilson reports that Willy Ellenreider was the first to fly the converted aircraft and had this to say about it: "Well, this Spitfire was a dream, a pilot's aircraft. It was my real baby. I had never before flown an aircraft like this. We were accustomed to the Bf 109's ill manners; bad visibility before take-off because the nose pointed skywards, the frightening take-off with the common tendency to swing, the unwieldy handling during the final approach and the bumpy landings...."
This fact alone should have earned Messerschmidt the gratitude of the Reich. Unfortunately, Messerschmidt ran afoul of the German Air Ministry, specifically Erhard Milch, and was never honored with the Me designation even on the later, completely redesigned 109F through K series, which were as different from the late 1941 E series as the Ta 152 was from the Fw 190D. No doubt, the Me 210 fiasco contributed to Milch's negative attitude, but the fact is that the German Air Ministry never granted the Me prefix to any 109 series production early or late. Perhaps the initial reason for the confusion over the designation of this aircraft was the British intelligence gathered from Reginald Mitchell after his visit to Germany in 1936. He had seen the prints for the108, presented as a private venture four seat high speed tourer and naturally discussed air speed record breaking. For that purpose, Willy Messerschmidt was supposedly (and was in fact) developing a single seat version of that aircraft. Regardless of what the German Air Ministry called the 108, it was presented to Mitchell as the 'Taifun' (Typhoon) and perhaps Me was added as a prefix instead of a factory prefix which at that time, under the treaty of Versailles, would have been illegal. A Bf prefix would have meant German Air Ministry support and that would have sent up a big red flag. Whatever the case may have been, the British Air Ministry was famous for inventing designations - for example in March 1942 it announced that Spitfire Vs over France had been bounced by the new Fw 190H - another non-existent designation. Since, in 1937, the 109 could not have German Air Ministry factory designation (the British are great at sticking their heads in the sand) it had to have another. The idea that Messerschmidt himself got the Me prefix rolling with Mitchell is pure speculation, but it fits the man's character as an avid self-promoter and of course would have been exactly the sort of behavior that infuriated Milch. The Air Ministry made lots of comments about the Fw 190, its derivatives and tactical applications, many of them wide of the mark. For a verifiable source of data on the 'Fw 190H', it would have been better to say that this designation was mentioned in 'The Aeroplane Spotter' dated March 26 1942. Bill Gunston, in his book "Classic World War II Aircraft Cutaways" had this to say about the Fw 190: "No information appeared even in "The Aeroplane Spotter" until 26 March 1942, when readers were told about 'the new Fw 190H'. This was another of the pointless designations invented by someone in London." 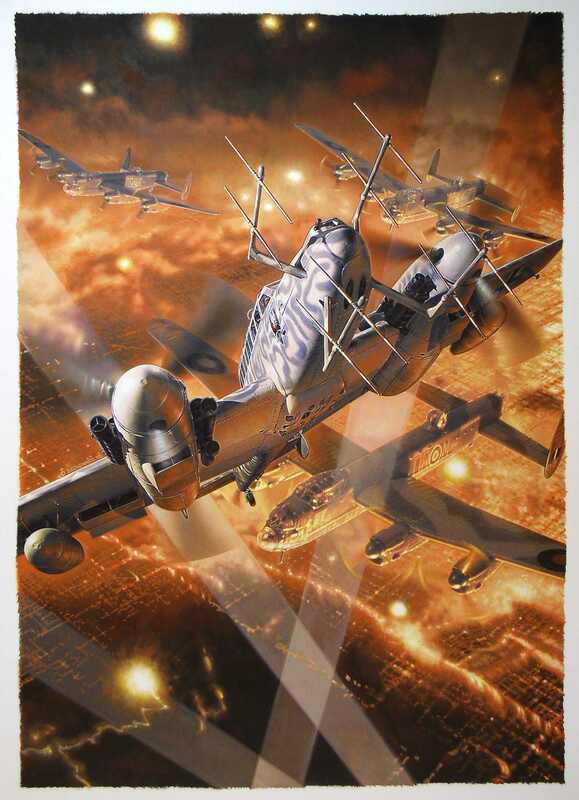 As a result, the only place that the Me 109 existed as a designation was in London and the British propaganda machine. For many years, the only version of World War II that was heard, seen and read about in England and most of Western Europe was the British one, along with all the British factual errors and misrepresentations, like the 'Me 109' reportedly having a fearsome cannon that supposedly 'fired through the engine crankshaft' (actually there were ongoing developments with a cannon firing through the reduction gear, but these never gained much favor with the 109's leading exponents) Equipped with the DB 603AS or DB603A-1 engine, the Bf 109G-8, a limited production reconnaissance version of the Bf 109G-6, armed only with a 20mm or 30mm engine mounted cannon, reflected the full potential of the Bf 109F concept and the RAF had trouble dealing with its intruder missions until well into 1944'. The cannon barrel being mounted in the center of the output shaft, firing through the center of the spinner. The cannon mechanism itself of course, was mounted in the space between the cylinder banks of the inverted V12 engine. J.H. Clark's wartime drawing of the Bf 109F clearly shows a 20mm cannon barrel with the script "20 mm cannon barrel through airscrew". Clark's earlier drawing of the Bf 109E simply has the legend "23 mm Cannon" with an arrow pointing at the center of the spinner. Bill Gunston however has this to say on the subject: "No 23 mm cannon was ever used by the Luftwaffe, and although a few E-3 fighters were originally built with a 20mm MG FF firing through the spinner, these were as troublesome as the previous engine-mounted gun installations had been and almost all were quickly removed in service" The Bf 109F was initially produced with only the 20 mm cannon firing through the spinner and two 8mm machine guns fitted with interrupter gear mounted over the engine. With clean uncluttered wings, minimum empty weight and equipped with the DB601 engine, it was a brilliant advance in speed, altitude performance and handling over the 109E. This was the fighter that should have earned the designation 'Me 109'. Putting the cannon back in the wings in the Bf 109G resulted in more drag and weight than the wing area could really stand and also resulted in a weaker overall wing structure and lower G limit. Equipped with the altitude version of the DB 605, the Bf 109F was a superior armed reconnaissance aircraft and the RAF had trouble dealing with it until well into 1944. While folks in the US were trying to forget the cold war watching Westerns, the British watched movies about WW II and how they saved the world (I know, I was part of the scene) All the stuff they produced and misrepresented was repeated and repeated and faithfully cross referenced into other books and movies until it all became like factual history and articles of faith. The 'Me 109' was part of that. Just like one of the defining moments in the original Star trek (McCoy turns to Captain Kirk and says "He's dead, Jim"), the ninety minute black and white British war movie's defining moment was often "Look out chaps, Me 109s!" Sorry Jeff, I forgot to put my name on my letter to you. My email address actually includes my full name - Anthony F Jones, but I go by Tony Jones and I live in Monahans Texas. I came out here to be the senior engineer at a vehicle and tire test track, but it went bust and I've been selling insurance for the last four years. It's fun and I enjoy the change. I am a firearms, engine and old car enthusiast and my reading hobby is WW I and WWII military history in general and aircraft in particular. I'm almost 60 and I've done a lot of research on these wars and heard a lot of first hand accounts. I'm British originally, came over here in 1975 and naturalized in 1991. I enjoyed looking at your website. I used to be a model aircraft enthusiast but don't have the time for it any more. Good Luck. The previous answers are all more or less correct, but the truth is, during the war itself both the men who flew the '109 and those who flew against it referred to it as the "Me. 109," followed by "Emil," "Fritz," "Gustav" or whatever. However, *after the war* most of the historical research published in English came from British sources. After all, they were just a couple hundred miles away, they had hauled off most of the factory records, and if they didn't understand something, they'd just pop over to occupied Deutschland and ask someone. BUT the Brits are notorious for their tendency to what was called "bumf" during the war. That is, they want to know not just what kind of airplane it is, its statistics and performance, but the manufacturer's serial number, where it was made, the user's service number and the individual aircraft's service history, if they can get it. Drives the rest of us nuts! Just remember: the guys who flew it called it the "Messerschmitt 109." I've discussed this point at length with some of the top Luftwaffe "experten," and they all agreed. In fact, in a long and liquid evening with Gerd Barkhorn, I was pursuing the issue of why he continued to fly the '109 even while commanding a unit of "long-nose" 190s. He grinned and said that while the book experts all claimed the Fw. was a better airplane, that wasn't true "in my hands." In other words, he could get the 109 to do things it wasn't capable of doing -- on paper. And that's why he ended the war with 301 confirmed air-air victories and would've had more had he not wound up in hospital recovering from a take-off accident in a Me. 262. This nation operates on the single principle that every man is free to tell his neighbor how to live. And he does. Luft '46 a great German Airplane Art site. When Researching History Facts, it is Also Important to check the Misspellings. Look at the misspellings that I found for the main subjects talked about on this page. These were the typos when I researched German Model Aircraft was another word phrase that I was interested in. I was just looking at some misspellings of the word Model Airplane and this is what I got. Click Here's what happened when I researched the words Messerschmitt.